Over the past weeks there have been a number of distressing events onboard our vessels. The journey to South Australia is a long and treacherous one, with poor weather, illness and deaths making the voyage even more challenging. The passengers are starting to feel the effects of their long voyage and confinement at sea. This week we read about passengers who have not changed their clothing for days and learn that a number of others continue to display symptoms of illness, including scarlet fever. As we head into week 20, take the time to put yourself into the shoes of these passengers. Understandings about the wider world and journeys at sea were limited in 1836. Everyone onboard experienced a range of emotions, feelings and had different beliefs. 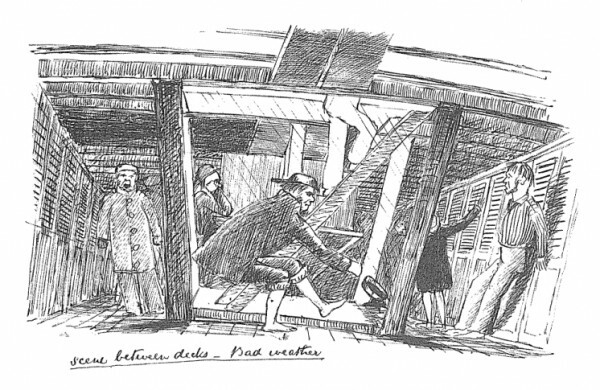 Sailors in the 18th and 19th century were often superstitious, and although we don’t read about it this week, maybe some of the passengers onboard these vessels were also superstitious. This week we explore some of the superstitions at sea and their links to reality. • How do superstitions start? • Why do some people believe superstitions and others don’t? • What are some of the superstitions of the sea? • Why are their so many superstitions about the sea? • How do superstitions of the sea differ to those on land and why are some of these opposite to each other? • Why are there so many versions of the same superstitions? • Are all superstitions completely untrue? • Why are so many superstitions related to the weather? Chronology, terms and concepts: • What is someone who suffers from triskaidekaphobia afraid of? • Explore the concepts of beliefs, values, change, perspective, evidence, influence, perception, traditions and truth. Historical questions and research: • Why do we still have superstitions today? Are there any superstitions that have been developed in the 21st century? If so, how do they differ to those in the 19th century? What causes these changes to occur? • Learning about events from a long time ago is difficult as much of what we know has been passed on through verbal communication. The journal and diary entries in this website are an example of a primary source from which we can authentically learn about how people lived in the past. What are some other examples of reliable primary sources which help us to better understand the past? Perspectives and interpretations: • Superstition is a term used to describe beliefs that are not based on truth or fact. Some of these beliefs stem from a person’s faith and beliefs passed on through generations. When analysing the different beliefs, see if there any superstitions which contradict each other. If so, what do you think might be the cause of this? • Find out how many children in the class believe a superstition. Ask children to give reasons for their beliefs. Explanation and communication: • Idioms are phrases that do not mean exactly what they say. They have "hidden" meanings, like the idiom "to let the cat out of the bag" really means to tell a secret. Idioms are like sayings. An idiom related to the ocean is ‘Between the Devil and the Deep Blue Sea,’ meaning to be between two difficult situations. 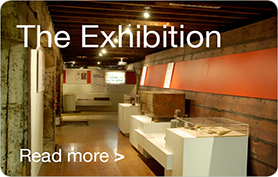 In the 17th century there was a large wooden plank attached to the side of a boat. Sometimes a sailor would have to go out on it and fix something. The plank was called the "devil". The sailor was in danger of falling off and drowning. Therefore, he was between the ‘devil' and the deep blue sea. Research other idioms that are still sued today. Ask students if they know of any superstitions and share these with the class. You can also use websites to find superstitions. Create an A – Z of superstitions. Divide these into those that apply on land and those that apply to life at sea. Select and research a superstition. Put your findings into your own words and include an image to support your information. Once everyone in your class has completed this task, collate the A4 pages to create a class book about superstitions. Work in a small group or with a partner. Cut out the superstitions of the sea (link to word document) and match them to the reasons behind each one. Do you believe in any of these superstitions? Give reasons for your responses. Some people consider Friday the 13th to be an unlucky day. Find out where this superstition came from. The number of times Friday the 13th occurs varies from year to year. In 2008 it occurred only once, on June 13th. In 2009 Friday the 13th occurred three times, on February 13, March 13 and November 13. In 2010 it only occurred on August 13. Use a calendar to find out if and when there is a Friday the 13th in 2011 and 2012. Collect objects that are related to superstitions, both those that are considered good luck and bad luck. For example, a four leaf clover, umbrella, ladder, picture of a black cat, horse shoe, etc. Place these in a box and ask students to select an object from the box. Students label these items with the associated superstitions. Sort these into groups of superstitions that are good and those that are considered bad luck. Conduct a survey of students across the school to gather data about the superstitions people believe. Conduct the same survey with adults. Show your data in a way that can easily be understood by others. Do you notice any differences in your findings? Create a role play about superstitions to present to another class. Script your performance before rehearsing the play. There was conflict onboard caused by the different values or beliefs of people. How would such a conflict be resolved? Many of the superstitions onboard sailing ships were related to weather. The belief that whistling will bring bad luck or bad weather might have started out as a rule in the Royal Navy or it might come from the idea that you're making your own wind when you whistle. Either way, some people are exempt from this superstition, with the cook and the youngest person onboard both allowed to whistle. Why do you think this superstition did not apply to everyone? • Nearly every ship that went missing during the early 1700s trading boom in Spanish, Atlantic and Caribbean waters was carrying a cargo of bananas. • Bananas spoil quickly so the faster sailing ships were often used to transport them. Fishermen trolling for fish from these faster ships were rarely successful and this was blamed on the bananas. • When bananas become rotten they ferment and give off methane gas which would be trapped below deck and poison anyone in the hold, particularly slave prisoners. • A species of lethal spider likes to hide in bunches of bananas. All this talk of food can make one feel very hungry. 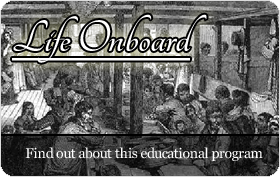 Stay tuned next week to learn about cooking and food preparation onboard passenger ships in 1836. Image is from page 14, The life and adventures of Edward Snell. The illustrated diary of an artist, engineer and adventurer in the Australian colonies 1849 to 1859. Edited and introduced by Tom Griffiths with assistance from Alan Platt. Angus and Robertson Publishers and the Library Council of Victoria, North Ryde, NSW, 1988.